If you are in the market to purchase a dental practice, there are a number of things you will need to know about the search process. Whether you are new to the buying game or a seasoned professional, being prepared in advance is the best way to go. By understanding the red flags discussed below and why they are of importance, you will soon be ready to continue forward with the purchase process. When working towards acquiring a dental practice, there are a number of things you should look for and examine in a tangible way. For example, you will want to obtain financial statements and review them thoroughly. You should look for complete statements. In some cases, you may be shown a projection. However, you should keep in mind that this is not a guaranteed amount of income or earnings. Further, you should look for a full set of statistics about the practice. It is important to remember that a seller should be forthright with this type of information. You, as the buyer, should not be speculating about too much related to the financial statements. Related to this, you should be keenly aware of how long it takes a seller to produce financial information or other important documents. If the broker involved in the sale is reputable or has been doing this type of work for some time, he or she will have the documents prepared and available ahead of listing the practice for sale. In some instances, there may be a reasonable delay. However, in other times, the seller or broker may be trying to avoid providing you with information for a reason. Obviously, you should give the seller the benefit of the doubt but with any major decision in life, it is best to be cautious and to ask the right questions. Alternatively, sometimes you will have immediate access to financial information or other important documents. However, these documents may be prepared in such a way where a buyer might not notice inaccuracies or inconsistencies. One example of this is by reviewing the number of active patients in a dental practice. If you are a buyer and are looking at the patient register of a dental practice, you might see a large number. However, there could be a much smaller number of charts actually maintained in the office. One explanation for the disparity of charts is that some number of the patients listed on the register could be inactive. When determining the value of a dental practice for sale, you will need to have the most accurate patient count possible. Other red flags can be if patients are leaving the practice or not returning to the practice. If you are looking to purchase a dental practice where there is poor patient retention or recall, it is important to figure out what is happening. Certain questions related to this issue could be answered by looking into patient records and charts. The existing staff may also have some insight into the lack of retention. Similarly, lack of staff retention is also a red flag. You will want to try to determine why staff turnover is high and how that issue could be remedied. 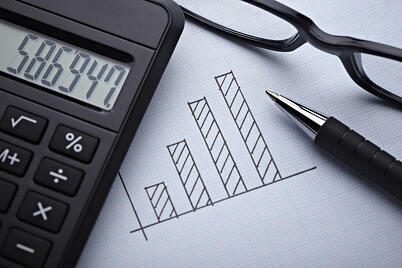 Another area where you will want to be certain of accuracy is the accounts receivable report. This report will show how much money is owed to the dental practice from patients and insurance companies. If there is a high balance or high amount of patient credits, it is possible that there could be long-term errors present in the dental practice’s software. This could result in the seller having to cut refund checks to patients prior to the purchase of the practice or having to send accounts to collection to remove them from the software. Making sure the software shows accounts receivable accurately can save both the seller and buyer headaches before the closing of a sale. An additional consideration that a buyer should closely examine is a non-disclosure agreement (NDA). The main purpose of such a document is to protect the private financial information of the seller of the practice. These documents are legally binding if you sign them, so you will want to make certain that you truly understand what you are signing for. In some cases, NDA’s may seek to prevent you from obtaining legal representation. You never want to sign an agreement that keeps you from hiring an advisor. Lastly, you should be hyper aware of a seller who is attempting to pressure you into closing too quickly on the sale of their practice. A seller most likely does not have your best interest at hand. In fact, there is likely another specific reason that he or she is attempting to push a quick sale through. If you find yourself in a situation where a seller is trying to pressure you, be certain to use extra scrutiny when reviewing any documents related to the practice. It is more likely than not that you may be able to spot the more narrow reason for that person’s attempted departure. While at times the purchase of a dental practice can feel overwhelming, knowing that you are a prepared for any red flags ahead of time should help to ease some of your anxiety. By knowing what to look for, what to ask for, and how to use negotiation to your advantage, you will be very prepared to start your search.